Clause 1 Planning has recently received multiple letters from the City of Stonnington that indicate Council intends to more fiercely enforce their tree protection and management procedures. We suspect that all recent permit applicants in the City of Stonnington would have received the same correspondence. Although Council has always had the power to enforce tree management and protection requirements, this correspondence makes it clear that permit applicants and their clients have been put on notice. 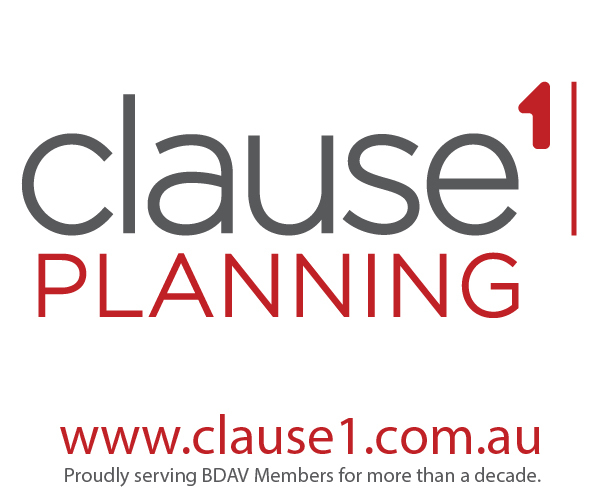 Clause 1 encourages all practitioners to ensure they understand when trees can be removed without a planning permit and the implications of a planning permit condition that requires vegetation to be protected, planted or pruned in a prescribed manner. Applicants should also be aware that more and more Councils are including permit conditions that require an arborist (or suitable qualified person) to undertake canopy and root pruning, where permitted. We reported recently on the new definition for “Garden Area” now contained in Victoria’s Planning Schemes. Applicants will be aware that, where applicable, these garden areas are mandatory requirements in the Neighbourhood and General Residential zones. The concept of a ‘garden area’ was originally introduced to Planning Schemes in 2017 but did not expressly provide for the construction of single dwellings on larger lots which were exempt from planning permit requirements. To bring the Building Regulations into line with the planning permit requirements, the Building Amendment (Garden Area and Siting Requirements) Regulations 2018 were enacted on 10 July 2018 and inserted a new regulation. Regulation 76A requires the consideration of a minimum garden area for the construction of a single dwelling in the Neighbourhood Residential Zone and General Residential Zone. This is a mandatory requirement that cannot be varied by a report and consent. You can now search for current and archived planning documents. With the new tool anybody can search for and find a wide range of planning publications and resources published by the Planning Group within DELWP. With future enhancements already planned, the resource library will prove to be a valuable tool for the planning community. The library provides a useful “go-to” resource for practitioners, particularly in preparing reports associated with planning permit applications where state or local policy refers to or incorporates the types of documents included in the list above. The Planning and Environment Amendment (Objectors Review Timing) Regulations 2018 came into effect on 1 July 2018. This amendment standardises the time in which an objector to a planning permit application can apply for review to VCAT (i.e. appeal) against Council’s intention (NOD) to grant a permit. The date of the notice of the decision is the point that the counting of the days starts. The number of days has been increased from 21 days to 28 days to take into account the new starting point and the changes to delivery times by Australia Post. These changes provide greater certainty over the date at which the appeal period finishes and a permit may issue (if no objector appeals are made). Our previous experience is that there has been uncertainty over the date at which the Victorian Civil and Administrative Tribunal (VCAT) would acknowledge the ‘end date’ for the lodging of appeals by objectors, due to the additional lee-way given to postal delivery. Hopefully, this change will provide some certainty. The Guide is thorough, practical and requires applicants to consider waste management as part of the design process, including bin storage, collection methods, commercial/specialised waste, hard waste and organics, as well as the various types of collection vehicles and their manoeuvring requirements. The draft document can be found by CLICKING HERE. Clause 1 envisages the main benefits of the Guide are to provide a consistent approach to assessing waste management design in planning permit applications, across the state, and the provision of much of the necessary waste management information requirements within the one document. We will keep readers updated on its progress and final release.